Dental insurance is a great addition to your health insurance coverage and can help keep both your smile – and your budget – in top shape. Here's how it works: you'll have a deductible that will need to be made before your coverage kicks in. Most dental plans cover between 20-80% of your bill. So, if your deductible is $250 and your coverage is 75%, once you pay the $250 out of pocket, your dental insurance will cover 75% of the remaining balance. Most dental insurance plans also have a waiting period before your coverage kicks in, which can range from 6 months to a year. Be sure your waiting period is over before you opt for any major dental work. Before signing on the dotted line, you should carefully read your plan to determine how much is actually covered. Also, the deductible in mind. As mentioned above, you'll be responsible for paying that out-of-pocket before your coverage will begin. When deciding if dental coverage is worth it, you should also keep in mind that most dental procedures are covered on a tiered scale. For instance, preventative coverage is usually covered at 100%. This includes routine cleanings, x-rays, and the like. Next, you'll have basic procedures. These include things like fillings, root canals, and extractions. Most dental insurances will cover a percentage of these services after your deductible is met. Finally, you have major dental work like crowns, bridges, and dentures. Usually, dental insurance covers a smaller percentage of these, so as a patient, you'll be responsible for a larger portion of the bill. How Do I Use My Dental Insurance? Just like with health insurance, dental insurance has a list of in-network and out-of-network dentists. If you stay in your network, you will pay less, since the dental insurance covers more. If you go out of your network, you may end up paying a bit more. Some dentists may be willing to work with you on this, especially if you are an established patient with them. 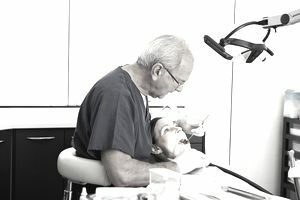 It may also be worth paying a bit more if you have found a great dentist that you can trust. Depending on your dentist and your insurance you may need to pay for your dental work at the office and the insurance company will reimburse you the cost. If this is the case, you need to be prepared to pay when you visit the dentist. You should contact your dentist to find out if the office will file the claims for you. You will also need to learn what forms you need to send in if your dental office will not file the claims for you. Your insurance may require pre-approval for dental work other than a checkup. Ask the dentist to submit the claims for you in advance and call and verify before you go to the dentist. If you need an emergency procedure, you can call the insurance yourself and see if you still need to wait for approval. Taking the time to have claims approved before you have work done can save you a lot of hassle later on. Also, many practices have different ways that they classify preventative, basic, and major procedures. This can affect how much you'll owe out-of-pocket, so be sure to get all the information before you opt to have any dental work done. Where Can I Get Dental Insurance? You can receive dental benefits through your employer or you can purchase the benefits on your own. If you are self-employed you may consider self-insurance, which basically means that you save a certain amount of money each month or year to pay for any dental work or visits you'll need. If you're obtaining dental insurance through your employer, you may have different levels of coverage, or there may just be one option. Be sure to consider the cost of the plan and how much it covers before you opt in. Are There Alternatives to Dental Insurance? Instead of dental insurance, you may want to consider using a dental discount card. You should carefully weigh both options before making a final choice for your situation. Either way, you should allocate dental insurance or the cost of dental care in your budget to cover dental costs. If you are prone to cavities, it is important to go in regularly for cleanings and to take care of your teeth. While this may cost more up-front, it can save you more in the long run.